Fasteners, Hardware, Assembly Tools - Nordex , Inc.
Nordex carries a full line of precision fasteners readily available from stock, including assortment kits, nuts, pins, retaining rings, set screws, captive screws, machine screws, shoulder screws and threaded stock in both inch and metric sizes. Specialized assembly tools also are available. Precision Dowel Pins. 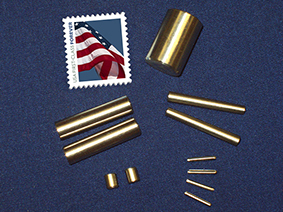 A large inventory of standard sizes in 303 stainless steel dowel pins and carbon steel dowel pins are available for immediate shipment. Machine Screws. Nordex offers an extensive inventory of Machine Screws with a class 2A thread in 300 Series Stainless Steel. Please inquire for unlisted sizes. Other screws types available from Nordex include captive screws, seal screws, set screws, socket head, cap screws and shoulder screws. Shoulder Screws. Precision 303 Stainless Steel Shoulder Screws and Precision 416 Stainless Steel Shoulder Screws are offered in inch and metric sizes. Thumb Screws. 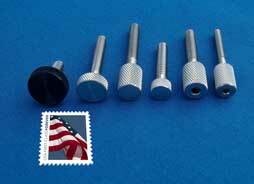 Thumb Screws are available with a standard knurled head, a heavy knurled head and a socket heavy head. Available in 303 stainless steel in inch or metric sizes. Nylon points are available upon request. Also available are plastic head thumb screws – 300 Series Stainless Steel screw with a black plastic head. Special sizes are available as well as prototype and production quantities. Captive Panel Screws. Nordex Captive Panel Screws are available in Hex Socket Head, Knurled Head and Slotted Head. 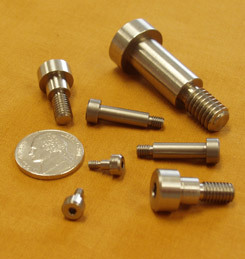 Nordex’ inch series offers thread sizes 4-40 to 10-32. Nordex’ metric thread sizes M3 to M5. For sizes not listed please consult the Nordex Customer Service department for price and availability. Nuts and Washers. Nordex offers stainless steel hexagon nuts, plain washers, lock washers, as well as Belleville washers, and curved washers.